and, prior to its EUR 400 million renovation, it had never closed its doors to the collection of glitterati, politicians and intellectuals who called it home. Calling the Ritz Paris a legend doesn’t do it justice. It’s a piece of world heritage, and the benchmark to which all luxury hotels are measured. Whether tucked away in the cosy Hemingway Bar, or sipping on a coffee in the aisles of the leafy courtyard garden, every minute here is blessed with rare elegance and charm. One doesn’t simply stay at the Ritz but instead, adds to its ever-growing legend. Discover a unique location in the heart of Paris on Place Vendôme. Do not miss the Ritz Escoffier cooking school which is located in the hotel's kitchen. Enjoy the large gardens and terraces in the heart of the hotel. We love love love the Ritz. To me it's one of the most amazing hotels in the world. Just a few things that really stood out during our most recent visit. While having tea at Salon Proust we had the pleasure of experiencing the most exceptional service by Trang. She is so knowledgeable and extremely passionate about tea. Its wonderful how she shares her knowledge with the clients and transforms dining at the Salon Proust into a completely magical experience. At the spa we had a fantastic experience as well. While all the massage therapist are really great I have to admit that Minh Wu was really exceptional as was Madame Miyuki. My daughter always enjoys the treatments with Harmonie a lot. Words not enough to describe! Once you're in, you enter a different world ...a world you won’t wish to escape! It was our first time at the Ritz after its renovation. We’ve stayed at many other Palace hotels in Paris before and many high end properties around the world and the only thing I can say is that the Ritz is not just a Palace hotel it is exceptional in all aspects. Simply perfect recommend staying at the Ritz to everyone! Thank you so much for making our experience so so special. A unique experience in one of the greatest palaces in the world. Ritz Paris is always worth a visit: the location at Place Vendome, the atmosphere in the hotel and the outstanding quality in all services offered make the RITZ a preferred place to stay in Paris. Heavenly! Best shower, instruments and morning coffee in the world. Wonderful atmosphere. Excellent and generous service. Absolutely outstanding! Excellence at work in everything! My most beautiful memory of hotel for over 35 years of travel. Not to miss under any pretext if you like French service. Our stay at the Ritz Paris was amazing. The overall experience from the Check in, to the property tour by Pierre, the amazing Room and restaurant staff right through to check out exceeded our expectations. 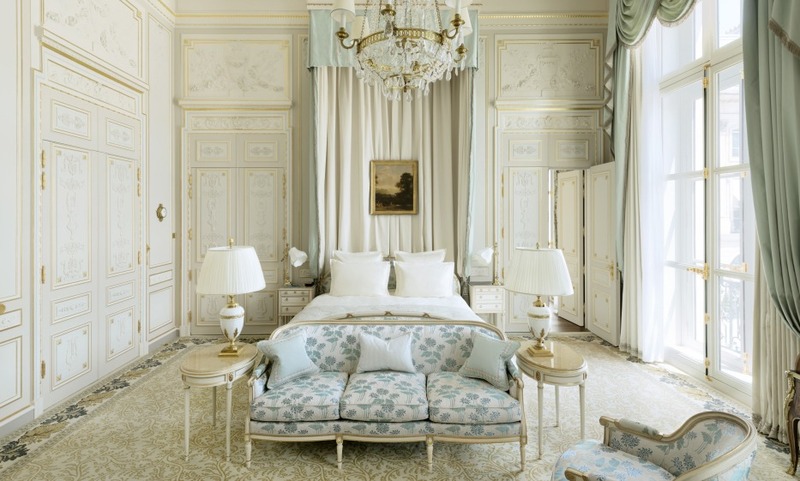 I would definitely recommend the Ritz Paris property to anyone wishing to &quot;spoil themselves&quot;. There is nothing in the world like the beauty, luxury, and convenience of the Ritz Paris… No other words needed. My new favorite hotel. The staff was genuinely happy gracious and I enjoyed every interaction with every person at the hotel. A real palace in one of the most beautiful cities in the world. Marvellous,everything was absolutely perfect except for a slight issue at the Hemingway Bar, but it in no way affected my stay in this legendary hotel. Here, staff have a sixth sense, knowing what you need, before you know it yourself. It was absolutely amazing!!! The service was spectacular, the staff was incredibly friendly and welcoming, and our room was beautiful. We loved the décor of the Hemingway Bar filled with so much history as well as the clever menu. The concierge staff went above and beyond to help us with reservations while we were in Paris. I can't wait to come back and next time hopefully for a longer stay. This hotel is without a shade of doubt one of the best in the world. The professionalism and friendliness of the staff is above average and the warm welcome we received when we arrived was exceptional. The spirit of the Ritz is present in every inch of the establishment, and the elegant touch of French “savoir faire” is there to be felt. Christmas brunch was a moment of pure joy, served by efficient personnel in an environment void of pretension. The Deluxe Room was a pleasure, the whole experience was quintessential excellence. This is a great hotel to stay in. We are absolutely delighted with the experience and will gladly return to the the Ritz Paris on another occasion. There is no better hotel in the world. First class on every level without being stuffy. The attention to detail during the renovation shows everywhere within the hotel. Staff was amazing. Margaux at the concierge desk was very helpful as well. I can't wait to go back. Next time for a longer stay! It is a most amazing and wonderful place. All was very good, but the Hemingway bar was our favourite. It was a bit of a splurge for us, but it was certainly worth every penny. We will absolutely come back to Ritz Paris. Very good time overall. We found the person in charge of serving us breakfast to be very kind and down to earth which was very pleasant. We were warmly welcomed by the people in the Chanel store and were even convinced to make a purchase. We have great memories from our time at the Ritz Paris. A beautiful hotel which deserves its legendary status. In this place, amid the exquisite décor, you’re taken to another time, and an atmosphere where luxury rules supreme. Absolutely stunning, extremely attentive service, my daughter and I loved it! I would also like to mention that we were able to check in early (7:00am) and check out late (2:00pm) which again just added greatly to the quality of our stay. A mythical hotel. Although the room decor is not always to my taste, a certain atmosphere reigns in this place and it has a story. The lobby, the bars, the garden and the stairs are at the level of a palace. Our stay was very nice and we certainly want to return. So impressed with your teams especially the concierge and the restaurant teams at the bar are excellent. A special place to return to in a special city. Sincere thanks for the attention and help given to my wife at the airport by the Ritz’s Staff. It was greatly appreciated.